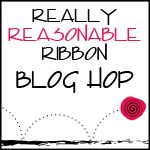 Hello everyone and welcome to another amazing Blog Hop here at the Really Reasonable Ribbon's Ramblings Blog! For all of our challenge lovers, be sure to stop back on the 15th when we post our next challenge. New challenges are posted on the 1st and 15th of each month. We would love to have you join in. Isn't this assortment great?? It's one of my all time favorites!! It contains 9 styles and a total of 17 yards. 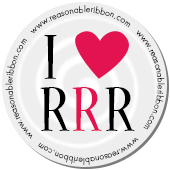 If you aren't already a ribbon club member, why not join us today! You will get a fun new ribbon assortment shipped automatically each month. At the end of the hop, comment on this post answering the question below for a chance to win our December Ribbon Club assortment and the extra goodies shown below. What is the number one crafty thing on your list for Santa this year? Is it a new die cutter, rubber stamps, crafty software, perhaps a subscription to Ribbon Club....?? Tell us what you have your eye on this holiday season. Who knows, it might be something I absolutely need too, but didn't even know it! Our winner will be selected from the numbered comments on this post on Monday, 12/17 using random.org. Be sure to check back on Wednesday evening to see if you are our lucky winner. Don't forget, we offer Gift Subscriptions in 3, 6, or 12 month options. The first assortment will be shipped right out with a gift card and sentiment of your choice. This is a perfect gift for a crafty friend! Lovely Prize!! I can't wait to see who wins!! Beautiful Ray of colors,Great job design team.I look forward to doing crafts with you.I hope Santa brings me a Sizzix Big Shot Machine for Christmas. gorgeous ribbon and a fab job done by the dt. i'm hoping santa brings us a silhouette! Ribbons, of course! lol! my new favorite ribbon is velvet. for stamps TH blueprints and trimmer from SU. great hop! lots of good ideas. Some really gorgeous projects. I would like a Cameo from Santa but I don't think he knows that. Lovely kit this month! Great projects from the DT..some really inspired takes. Ribbon is always great in the stocking! Canvas journal, gift certificate at the art supply store! Great hop! This month's hop was wonderful! All of the projects were so inspiring! I did ask Santa for a Cameo, but I think I may have to talk him into a ribbon club membership too!!!! Great Hop! Kit of the Month has beautiful colors in it. Ribbon is always great to receive. Great work, ladies! Love the diversity of styles on this team! As for Christmas,... my craft room is just about fully stocked. Maybe the new Fiskars trimmer that never needs sharpening. Or maybe a starter set of Copics. Can't think about it until I clean up the mess in my lair haha! Great ideas and inspirations for tag books I want to make for my daughter's 7 bridesmaids. For Christmas, I asked for a mini cricut to assist in making not only these tag books, but also for various wedding reception decorations. What a great bunch of inspiration from the DT! Love the variety of uses they shared for the ribbon! I never think about my wants at Christmas time but if I had to come up with something right now I would say a variety of Crop-A-Dile Corner Chompers. I have the rounder and love it! This was a great hop, lots of wonderful ideas. I do most all my crafting with just scissors, I think my list is long, but one of the things I would ask for is punches. Like an edge punch and a circle punch. Thanks for the hop. Have a great day! AMAZING HOP. That amazing ribbon was put into some fantastic projects! Great Hop! I want Santa to bring me time to use all of the tools and supplies I already own! Please, Santa! Wow, what a fabulous hop. Everyone did a fantastic job on their creations. I have some new Cricut carts on my list this year along with lots of embellishments. To be very honest, my Christmas list doesn't have anything super exciting on it. I asked for a big supply of adhesive to last me a while. It's just something I always need (sorry that's such a boring answer, but it's the truth). Thanks for a great give-away, and may God bless you with a very successful 2013. Really Reasonable Ribbon ROCKS! ok, this year it's the magnetic base plate for my big shot from lifestyle crafts. I just want to say how cool all of this month's ribbons are. I haven't used many of last years so I must hold out this year so I have room to order more club kits. the folks did a great job with these ribbons. they can just send all their cards etc. to me for my jan. birthday. This year I have a wish for lots and lots of adorable rubber stamps and paper pads.. This is such a cute collection of ribbons. Love it.!! I was very , very kind this year and I would like a machine to make badges!!! Very nice and generous prize. Thank you for the opportunity to win. All the projects are wonderful. Great hop - so many beautiful ideas. I am hoping Santa brings a Big Shot. Thanks for the awesome give-away. These were all great projects, my mind is full of ideas! I desperately need new pens from Santa, Big Shot dies would be great too! I like the ribbon assortment. I would like some dies and a good paper cutter. Loved the hop! Loads of inspiration! I would love for Santa to bring some new dies and a RRR Club subscription!! Thanks for a wonderful hop!! I really enjoyed seeing all the different uses for ribbon and would love a subscription to RRR Club to go along with some Copic markers. Fantastic hop as always - the colours in the club pack are delicious - can't wait until they arrive. I'm hoping for a Bind It all tool (or similar) so I can make books and journals - all of which will be finished with RRR of course! I just finished going through the hop and there are some wonderful projects and/or cards. My #1 Wish List item this year would be the scalloped edge Labels One Spellbinder die set or the same thing but the decorative edge one. Either one would make me smile. Some really gorgeous projects. I would like some spellbinder dies and some of ur ribbon..thanks for a great hop. What a beautiful assortment....love the colors and all the GREAT project ideas in the hop! My wish list has organizing help with all of my craft stuff!! Thanks for the hop love it, and thanks for the chance to win. Wonderful projects everyone!! I would love to get a new die cutting machine this year!! Beautiful ribbons, and wonderful prize bundle. I would love it if Santa would leave me a Black Cat Cougar under my tree, I need a new cutter. I have always enjoyed using blue & white for Christmas projects. Love the DEC. kit. My Santa list is quite long, but would love lots of embellishments including ribbon. I just want lots of stamps and ribbons and dies, and inks, and embellies, and Noir Spectrum Markers! Seriously I want it all! Great hop! I have a cameo on my list along with lots of other crafty things! i love blog hopping! great job you guys.. very inspiring. Great blog hop and I think a subscription to the ribbon club would be an awesome present.